“How can I improve my English pronunciation?” This is one of the most common questions that English learners ask me. First, let’s be clear about what pronunciation means. It’s the way that you say a word. You make sounds with your voice that English speakers recognize as a word or sentence. Good pronunciation is essential for speaking and understanding spoken English. Spoken English is the right words (vocabulary), in the right order (grammar) with the right sounds (pronunciation). If one or two sounds are unclear, that’s not a problem. If a lot of sounds are unclear, then your listener can’t understand you! However, pronunciation is one of the hardest skills to improve because it is a performance skill. It is something that you have to practice. Improving your pronunciation may also mean changing your pronunciation. You may need to change the way you make some sounds, and that is difficult. These tips below will help you correct bad habits and improve your pronunciation so that you can speak English confidently! 1. Decide which accent you want to speak with. There are many different kinds of English accents. The two most common are British and American. There are many different accents even within British or American pronunciation, but most learning materials will help you learn either a standard British accent or a standard American accent. An accent is a way of saying words that is common in a particular region or country. You don’t need to speak with an American or British accent to speak clearly, but it is important to focus on the sounds used in one accent, because it gets confusing to you and your listener if you start mixing sounds from different accents. American pronunciation and British pronunciation are completely different. The consonant sounds are the same (except for the T sound and the r-colored vowel sounds), but the vowel sounds are very different. The British accent has more vowel sounds, and some vowel letters are pronounced differently. On this website, I teach general American pronunciation. 2. Don’t try to guess how to say a word in English. Learn how to pronounce it correctly the first time. There are many, many words in English that are not pronounced the way they look. When you see a new word, the worst thing you can do it try to guess how to say it or use the sounds in your native language to say the word. You just have to listen to someone say the word. Learn with your ears, not with your eyes! The more times that you say a word incorrectly, the harder it becomes to learn how to say it correctly. When you say a word incorrectly, you develop a bad habit, and it takes a long time to break a bad habit! Say it right the first time. 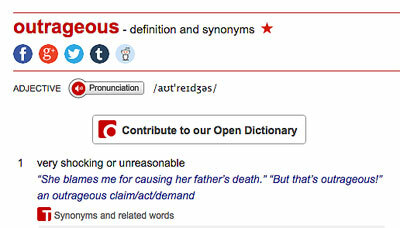 For example, let’s pretend you are reading a book and you see the word outrageous. How do you pronounce this word? You can use a dictionary specifically for English learners. Can you see the picture of a red speaker? When you click on this icon, you can hear someone say the word. Can you also see some strange letters and symbols next to the red icon? That’s called the IPA transcription. 3. Learn the IPA and the individual sounds of English. The International Phonetic Alphabet (IPA) is a collection of symbols that represent the different sounds of a language. When you know all the sounds of English and the symbols that represent those sounds, you will be able to say any word in English. You don’t have to guess how to say a word in English. 4. Pay attention to how native English speakers talk in your language. What do people sound like when they speak your language with an American or British accent? Do they speak slowly and sound relaxed? Do they stress parts of words? (Stress in pronunciation means saying one part of a word longer & louder than other parts of a word. ) That’s how you need to speak English. Have you ever tried to speak your own language with an American accent? One day I received an email from a student named Jean-Yves. He described his method for improving his pronunciation. He learned how to speak French, his native language, with an English accent! This helped him learn the sounds, the rhythm, and the intonation of English. There’s actually a name for this technique! It’s called reverse accent mimicry. Reverse (as a noun) means opposite, an accent is the way a group of people from a specific region or country speak, and mimicry means copying or imitating the way other people speak. Once you learn how to speak your language with an English accent, start speaking English with the same accent. 5. Try to imitate spoken English. How did you learn to speak your native language (your mother tongue)? Did you read words and try to guess how to pronounce them? No, you listened and listened and listened to all the people around you, and then you tried to repeat or make the same sounds as them. That’s called imitation. Imitation means copying someone. You imitate someone by doing the same thing as someone else, or making the same sounds. There is no other way to learn correct pronunciation. Do you really like the way someone speaks English? Try to copy the way they speak. a. Close your eyes and listen. When you learn a new word, close your eyes and hear the sound. Listen carefully to what the speaker is saying and try to make the same sounds. Hear the sounds, don’t try to see the word in your mind. Just repeat the sounds that you hear. Start with one or two words at a time, then move on to longer groups of words, and finally sentences. b. Shadow someone speaking English. Your shadow is the dark area or image you create when you stand in light. When you stand looking at the sun or other source of light, you block the light from everything behind you. If you turn around, you can see a dark area or a dark image of yourself. That’s your shadow. Your shadow follows you. It moves when you move. The verb shadow can also mean follow and watch someone so you can learn what they’re doing. Have you ever tried this when someone is speaking? Shadowing someone speaking means repeating the sounds that you hear immediately after someone says them. Why is this useful? Because you can hear yourself speaking and compare the sounds you make to the sounds that you hear. You can also learn how to make the right sounds. 6. 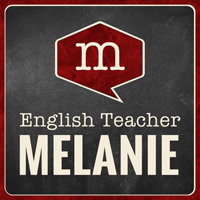 Listen to the English Teacher Melanie Podcast. A podcast is a series of digital audio files that you can listen to on your computer or any mobile device. Each episode of my podcast includes a story and a pronunciation tip. In the story, I use core vocabulary, the most common words in English, to tell a real world story. The pronunciation tip explains a feature of natural spoken English. There are so many benefits to listening to the podcast. Each story is short, so you can listen to it many times. You can listen to the story at a slow speed and at a normal speed. You can get used to the sounds of natural spoken English. You can read the words to the story while you listen to the story, so instead of seeing the words, you can hear the words and match the correct sounds to the words. You can listen to the sounds that I make and copy me. The pronunciation tip will help you learn natural spoken English. In my experience as a teacher, you can’t improve your pronunciation until you can hear your own mistakes. It’s important to hear what you sound like speaking English so you know what you need to improve! You can compare what you sound like to what you want to sound like. For example, you can record yourself reading a sentence from one of my podcast episodes. Then, listen to me say the same sentence and compare your pronunciation. 8. Practice for at least 30 minutes every day. Let’s be honest. You can’t improve your pronunciation if you don’t practice! Your pronunciation will not magically improve just because you want it to. And it will not magically improve just because you’re speaking English. You don’t learn to speak by speaking. Speaking English is a performance skill. It’s not like history or science where you can gain knowledge from a textbook. You have to practice, and you need to practice with a purpose. Practice the sounds of English until they feel as natural and comfortable as the sounds of your language. It won’t happen overnight, but gradually your pronunciation will improve. What is practicing with a purpose? It’s not just doing something over and over again and hoping you will get better. 9. Speak slowly and clearly. Many English learners think that improving your pronunciation means learning how to speak fast. It’s better to speak clearly than fast. Don’t try to speak too quickly. If someone can’t understand what you’re saying, it doesn’t matter how fast you speak! 10. Get Used to Feeling Uncomfortable. As I mentioned at the beginning of this lesson, improving your pronunciation may also mean changing your pronunciation. You may need to change the way you make some sounds, and that is difficult. One of the biggest problems for English learners is feeling uncomfortable when making the sounds of English. You have been speaking English your way for a long time. It feels natural to you. When you try to improve your pronunciation, it doesn’t feel natural. It feels strange making new positions with your tongue and lips. The sounds of English may be very different from the sounds in your language. It may be difficult and even uncomfortable for your mouth to make some of the sounds in English. This is very important to understand. Even though you may feel uncomfortable and strange making the sounds of English, you sound normal to a native speaker. Looking for even more excellent tips? Here are the two books that I recommend for English learners and teachers. I learned a lot about English pronunciation from these two books, and I have used these books extensively as a teacher. Wow! You sound like a very dedicated, hard-working English learner! Keep up the great work! You didn't mention if you had ever heard yourself speaking English. Have you tried to record yourself speaking English? This is the only way for you to know for sure if you sound like a native speaker or not! Then you will know what you are doing well and what you need to work on. Way to go! I found this post really useful to everyone who wants to improve their pronunciation. Keep up the great work! thanks for ur article and advice i will help many others through you,… great. writing but my prounonciation is really awfull. You’re such a good teacher your lessons and tips are helping me a lot through this. 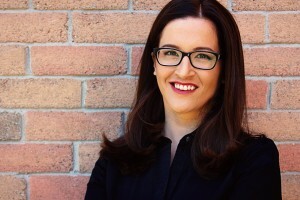 Hello, Miss Melanie!, Warm regards from Guatemala!, I found this blog really helpful and definitely I’m looking forward to get those books you recommend us, all I can say is: thank you! for helping me to improve my knowledge!. hello melanie , I had learned english at school in the united states but i moved and now i have four years of speaking spanish. since i left, I have been worried about forgeting english but i found your page and i really liked it, ill try to visit your page more often . Im very glad i found it. After practising all tips which given its really working. I can practise very easily without any difficulty.Today I have my final round interview hopefully i will clear it. am really interested in you website and now I’m improving my pronunciation in engish. Thank you so much for your tips and I really appreciate it. I’m from Costa Rica, and I tray to speaker english and tray to learneing english every day, so I found your suggestions very well. I don’t knok how to tanks you. bravo,thanks,my English is better now,succes always with you. This is what i was looking for!! Thank you!! really its good site, where someone can find best tips for improving English pronunciation and language as well. Im Alireza. Im from Iran .your site and your sort of teaching is very much good. It’s good to see this site aimed at aiding the English speakers to perfect their pronunciation , improve their confience and communication skills when dealing with the people of different nations.I would like to enhance my speaking skills as well by following all the tips and techniques advised by you and come as close to the utterence of English words exactly as that of a native speaker . I find your website really interesting and I know that make it really good it takes some time and dedication, but I really appreciate all the help I am receiving from this useful website. Again, thank you so much for this wonderful job you are doing, keep it up!!!! Your very kind and educated person. I like your teaching through Internet the way it reaches us more tips about American language. You are a mentor, the way I perceive and competitive English speaker. You encouraged us to become mature and responsible in sharing your ideas. I am from the Philippines and I like people like you who share ideas very professional. I am teaching English subject as fundamental as that of your tips in our school. I like your suggestions and introductions very often to share also to my students. Thank you very much the knowledge I learned from you in this web. thanks for these useful tips! I’d be glad if you could help me solve an issue. I’ve found that repeating sentences and sounds does improve my pronunciation, but when I have to make normal conversation all of these efforts seem lost and I end up switching back to my native accent – Italian if you care. I guess it may be because I focus on what I have to say and have no time to think of *how* I’m saying it. I don’t really have many chances to pratise real conversation, and my English practice mainly involves writing and listening. Do you have any tips to fix this? How long have you been speaking English? I’m going to guess that you have been speaking English with an Italian accent for a very long time! You switch back to your native accent because that’s what your brain knows. It’s “muscle memory.” It feels comfortable. You can’t change your pronunciation overnight. I read an article once that said it takes 21 days to change a habit. You have to re-train your brain! You have to keep practicing & repeating things until it’s completely natural & it’s stuck in your brain and you don’t have to think about it anymore. I’m brazilian and i have this life goal that i really want to achieve it,which sounds silly and imature for now,so,here it goes, i really want to be an actor and have an international carrer,so,i still have to take care of the first steps,and one of them is my pronunciation,i really want to thank you for your help here,i already speak much better(still needing some improvement haha) in contrast of your help,i’ve found a way of mixing all you tips in one big “system” of living,i only think in english,and most of my friends and family speak english as well so i only talk with them in english,when i’m alone i kinda yell speeches and try to talk as fast as i can,i really hope the neighbour don’t think i am crazy,haha thanks for eveything. This is not a silly or immature goal at all! This is a great goal! this fantastic post there are many tips I can use to improve my English , I´m from Brazil and Brazilian accent is really difficult to reduce though I´ve seen some good results. Thank u very much for this post . Thank you for the tips, I found them very helpful and interesting, def. I will apply them with my English Pronunciation groups :D at least during my social service. Wow, great tips. I’ve been Iiving in the US for 10 years, took a course on American pronunciation a couple of years ago, and keep striving to be understandable. I want to keep my French accent! People like it. The biggest challenge is to catch your own pronunciation mistakes. Toastmasters, a club for public speaking, helps me a lot for receiving feedback on how to improve on words I had no clue I mispronunced them. Thanks a lot for sharing all this. I’m new in English , and i’m so happy to start from here. I like the content of the page. and I will try my best to use all these comments and suggestions and I hope to get a satisfy results. I thought this article was very helpful! My wife and I have looked at getting into a foreign exchange program and have a student stay with us in our home. 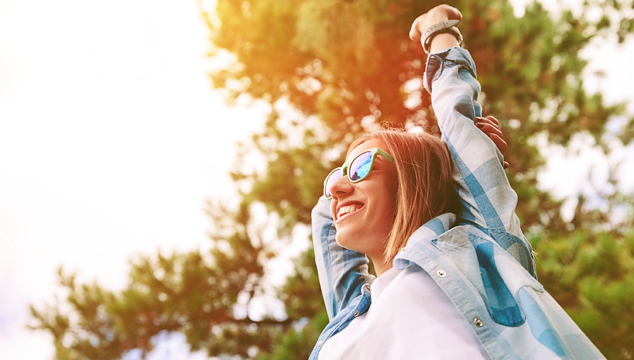 Part of the program places some responsibility on us to help the student learn English, so I found your tips very enlightening. I liked the suggestion to record yourself so you can hear what your pronunciation is like and make the changes needed. We’ll be sure to utilize some of these tips!